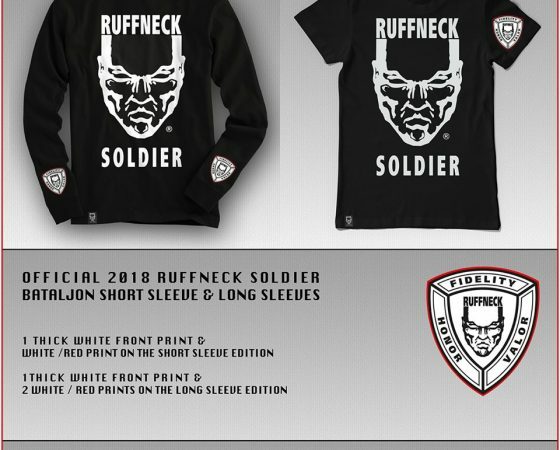 Home / News Category / Official Ruffneck Soldier 2018 shirts have arrived! My Soldiers… I am so PROUD to announce the OFFICIAL 2018 Ruffneck Soldier Shirt. I don’t even know where to start. It is available in short AND long sleeve version and can be ordered RIGHT NOW. I Looked at the old design from the 90’s and gave it the same treatment, but as uniforms need to be updated over time, the emblem has changed to make it the official 2018 uniform. Wear it with pride, like i will! DJ Ruffneck at Decade After words.